It's the end of the year, so chances are good you might be spending time with some family this week. And since that's the case, chances are also good you might come home to an empty seat at the table, because someone you love is no longer with us. Hey, it's been a tough year for celebrities, why not normal people too? But don't fret, friend, because just across the uncanny valley lies a place where all your dead family members can be recreated in CGI. 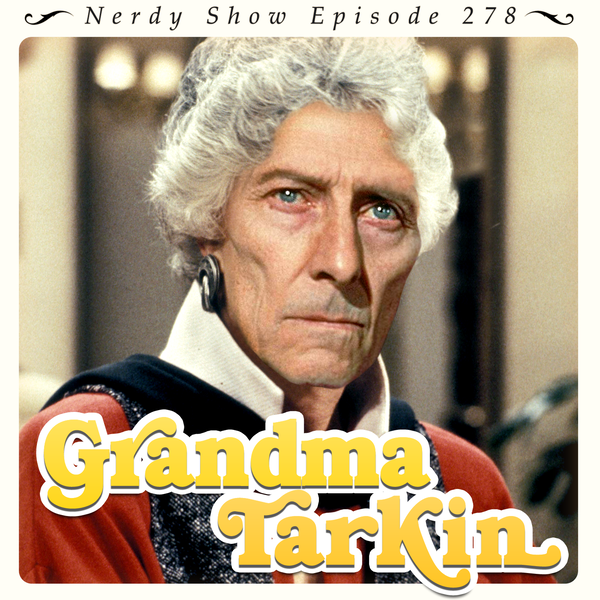 Pretty soon you'll be in the familiar embrace of Grandma Tarkin soon. And they'll look at least as good as our cut-rate Photoshoppery. Join Cap, boR, Nicky, and Brandon as we serve up a piping-hot Christmas meal of Rogue One opinions and our latest television and gaming experiences. We expound on Dirk Gently's Holistic Detective Agency, Final Fantasy XV, and the game we all slept on this year: Quantum Break. Oh, but that's not all, friends - we talk about the Tickle Me Elmo of the lonely salaryman this season: Gatebox, your very own rudimentary A.I. waifu companion. Well, we've got some thoughts on that AND recommendations on how to make your own on a budget!